Fire protection experts Fire Shield Systems Ltd is committed to finding the solution that fits your fire risk. 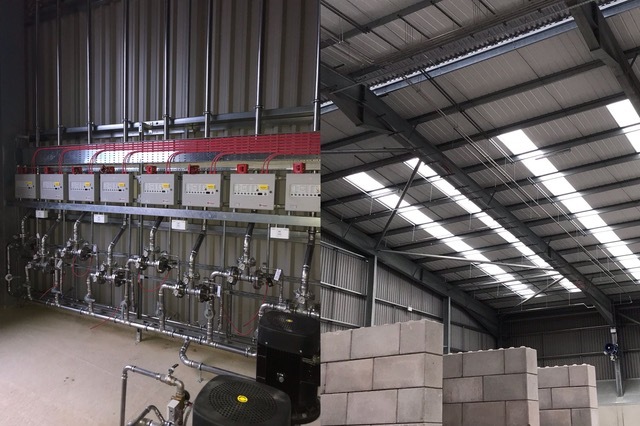 We specialise in the design and installation of bespoke fixed and mobile fire protection systems across the waste to energy and recycling sectors. At Fire Shield we are fortunate to work with a number of national and international partners, allowing us to offer a broad range of third-party accredited solutions to suit any requirement or budget. Our team will visit your site and carry out a full assessment, free of charge, including discussing with you what you want to achieve. We will then draw up a range of options for you and report back to identify which suits you best. Our service is individually tailored from design to installation and on-going service support. Based out of our facility near Grantham in Lincolnshire we have fast effective UK wide coverage with our expansive fleet of engineers and vans. We understand the pressures on time and systems across a number of operations and therefore pride ourselves on our efficiency, fast response and the highest levels of engineering. Our solutions are recognised by insurers and government bodies for industrial applications covering IR3 flame detection, spark and ember detection, aspirating, thermal imaging and linear heat detection among others. We offer various active suppression solutions including foam, water mist, water spray, aerosol & novec depending on the risk type. We know the key to success is working with our customers to understand their specific requirements and then providing a bespoke solution that works for them on reliability, cost and aftercare service. That’s why we are leaders in fire protection!